The shrine of Nuestra Señora de Dulcis is located in the vicinity of Buera. 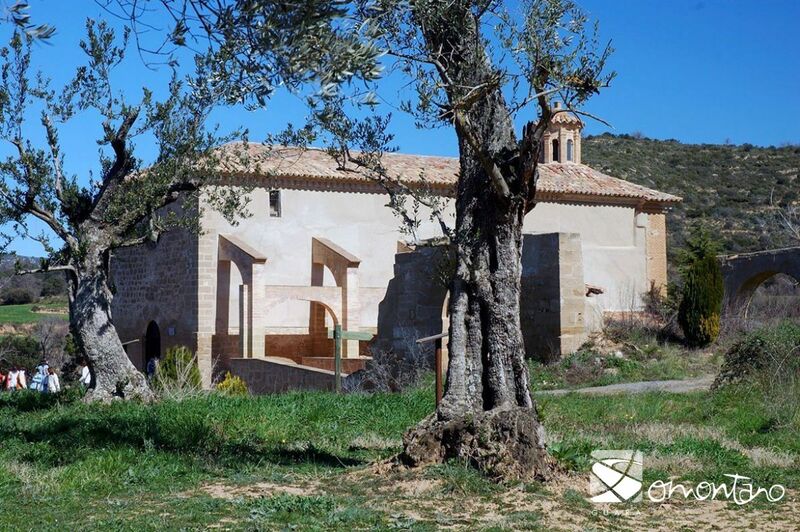 A track leaves the village and winds between fields of almond trees, cereal, vines and scrub before arriving at the shrine, a few kilometres from the centre. The building is located on a plain with an abundance of gorse, rosemary and thyme resulting in a high number of honeycombs in the area. According to popular tradition, Our Lady appeared above one of these honeycombs in the spot where her image is now revered. 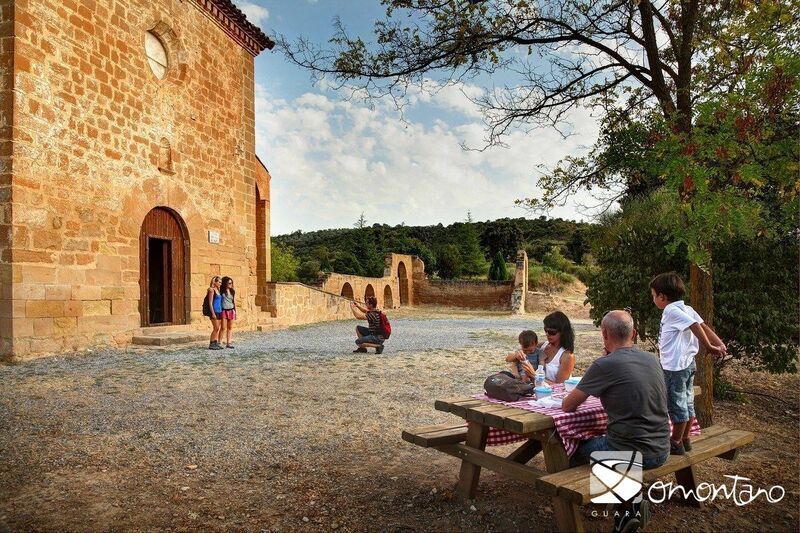 This legendary event explains the devotion shown by the people who came from afar to worship in this chapel. The apparition is said to have taken place around the 12th century and a chapel dedicated to the Virgin Mary must have already stood in this place at that time. However it was replaced in the 17th century by the current building. The church has a single nave covered in a vault with attractive lunettes and the positioning of the two side chapels creates the shape a cross. 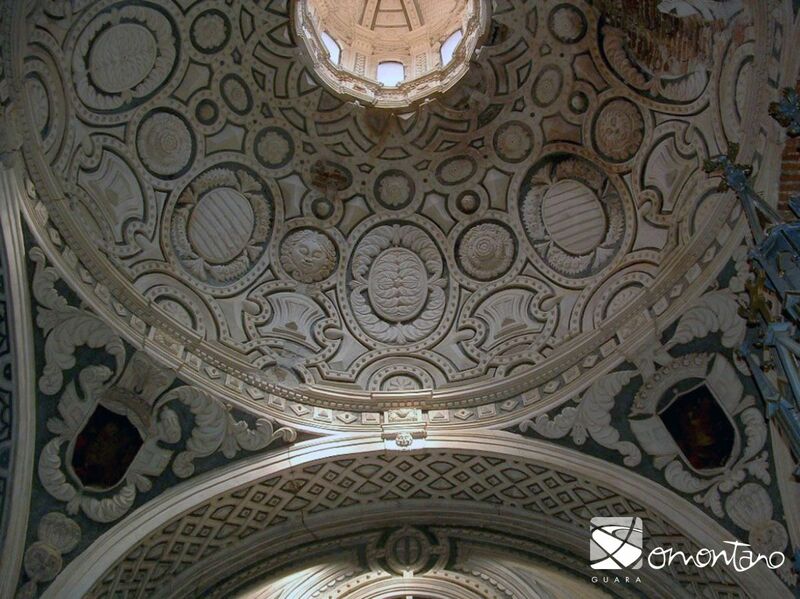 The square shaped chancel is covered with a small dome supported by pendentives and crowned with an oculus. The vestry is joined to the north wall and the choir takes pride of place in the west end of the building. 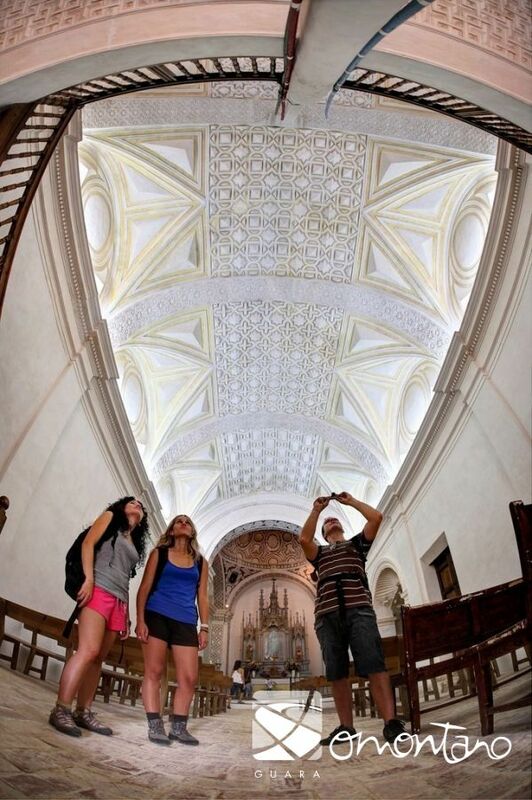 The most impressive element of this building is the magnificent interior décor made up of intricate plasterwork. Two different ornamental repertoires are brought together in Dulcis. The first has strong Mudejar roots and can be seen on the vaulted ceiling of the nave, the south chapel and certain decorative elements in the chancel. The other is more Baroque in style, of classic western affiliation, and is found in the north chapel and other parts of the chancel. 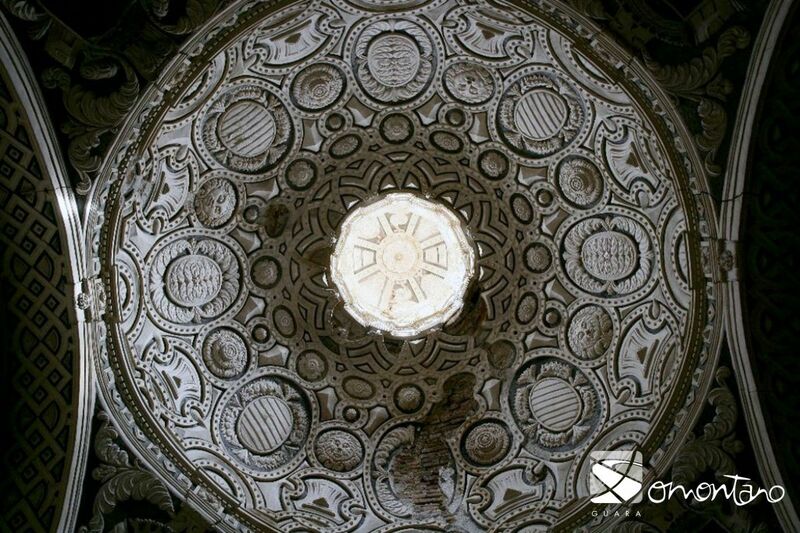 The material used to create the motifs that adorn the inside of the chapel is plaster. It was widely used as it was ideal for the decoration of vaulted ceilings; easy to work with due to its ductility and cheap due to it being widely available in the region. With this in mind, the decoration techniques used to decorate the ceiling of the Dulcis chapel included a combination of basic sculpture and modelling. A design was first sketched on the panels of fresh plaster followed by gentle sculpting to create the raised edges of the circular shapes. These interweave to form geometric designs and the gaps were then filled with moulded motifs. There is nothing on the austere exterior of the church to indicate the rich splendour of the decoration to be found on the inside. 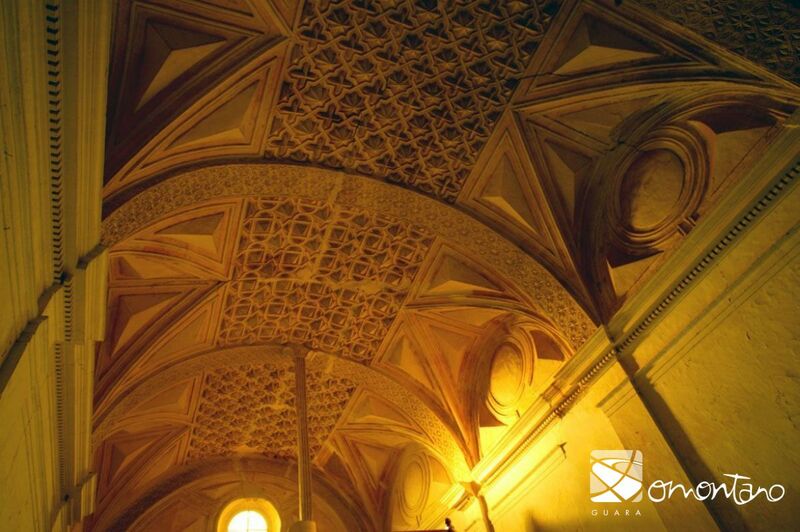 This is a characteristic feature of Aragonese baroque. Another peculiarity of this style in Aragon is the endurance of certain decorative traditions such as the Mudejar style. Despite the expulsion of the artisans responsible for its introduction, the Moors, it was still widely used in Aragon until eventually becoming a recognised decorative style in the 17th century. This abundance of decoration masked the poor quality of the materials used in the construction of the church. These were cheap materials, such as plaster, which was used extensively to decorate the ceiling of the nave (the aforementioned Mudejar geometric motifs) and the whole of the east end. The interior of the chapel reveals two distinct areas that stand out immediately; the simple nave, a place for the faithful, and the chancel, location of the altar. The decoration of the latter is plentiful with the use of vibrant colours highlighted by light entering from the oculus at the top of the dome. It is the most important focal point of the church and attracts all who enter towards the altar. The decor converts the vaulted ceiling of the nave into a star filled sky, filled with soft golden light that filters in through the oculus of the church’s west end.